Why is this the best ever? Little Mix may not have had the smoothest roll out for their latest single, "Black Magic", but we'd say they've recovered quite nicely. The foursome have debuted the music video for "Black Magic" and it takes some serious cues from The Craft. The video follows a pretty simple narrative: nerd girls discover magic and use it to get revenge and help out some people in need (The Craft). The music video comes as the girls reveal that they threw away a full album and started over on their current record. 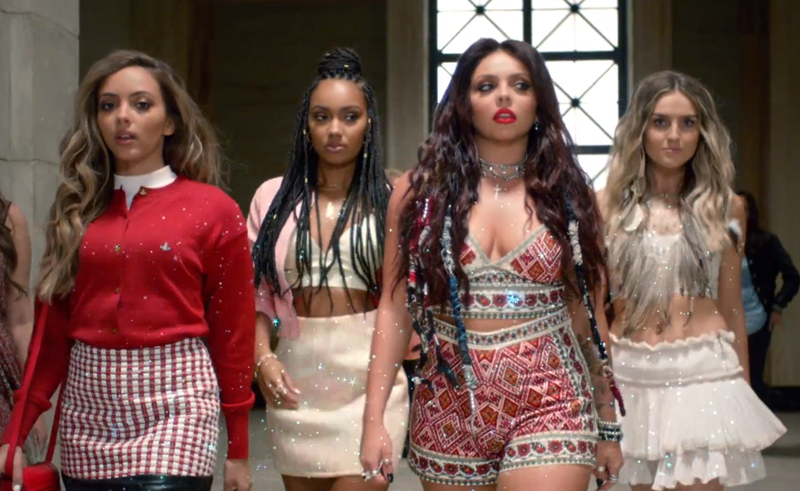 I'm just going to come right out and say it: The new Craft remake should star Little Mix. In fact, the remake should just be this music video.